Take 42% off the entire book. Just enter code slbragilevsky into the discount code box at checkout at manning.com. 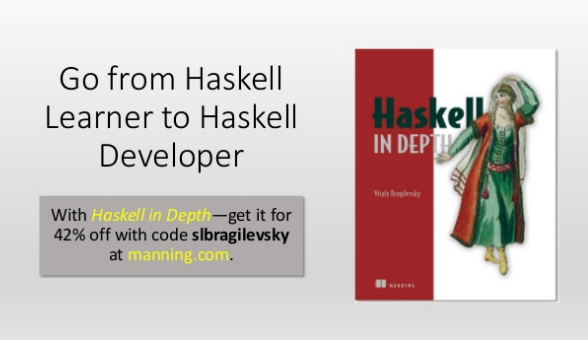 Turn the corner from “Haskell student” to “Haskell developer.” Haskell in Depth explores the important language features and programming skills you’ll need to build production-quality software using Haskell. 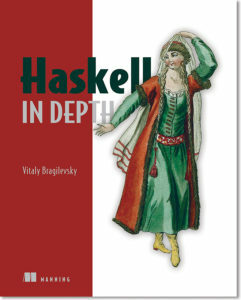 And along the way, you’ll pick up some interesting insights into why Haskell looks and works the way it does. Get ready to go deep! See more in the slide deck below.